The Office for Inclusion and Equity offers several educational opportunities including The Inclusive Workplace, Hiring for Diversity, and The Respectful and Inclusive Workplace: Rights, Responsibilities, and Best Practices (SEED), that support understanding and adherence to all university policies, procedures, and best practices that uphold all state and federal laws. These classes offer the opportunity for interactive discussion and sharing of best practices as related to each course subject. The learning outcomes will provide the attendee with a better understanding of OIE subject matter and how to use this information in their work and beyond. We hope you will take the opportunity to attend one or all of these courses to enrich your knowledge and understanding of University policy and best practices. Please note you will need your UT EID to sign on to the links below to see the UTLearn course descriptions and available dates. 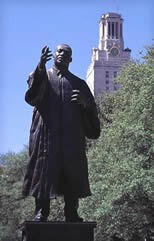 Visit UTLearn for more information. This class is limited to UT Austin student employees. If you are participating in the Student Employee Excellence Development Certification (SEED Program), you will have access to 16 interactive workshops for your professional development. Please click on the following link to read more about the SEED Program at the university.